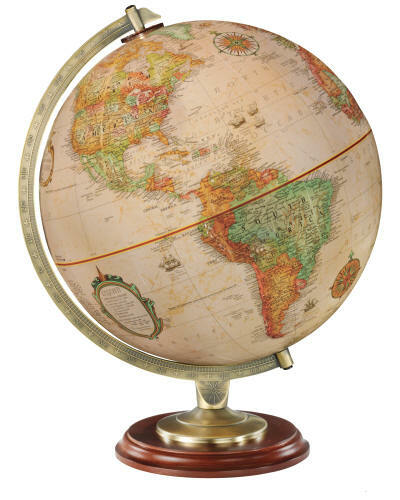 Classic 12" desktop globe features solid hardwood base with rich walnut finish, and die-cast numbered antique plated semi-meridian. The Kingston globe showcases up-to-date raised-relief political world map with thousands of place names, longitude and latitude lines. Lenox 12" World Globe Piedmont 12" Hastings 12" Globe MacInnes 12"